I love Anderson’s Bookshops in Naperville and if I lived closer I am pretty sure it would be my second home. 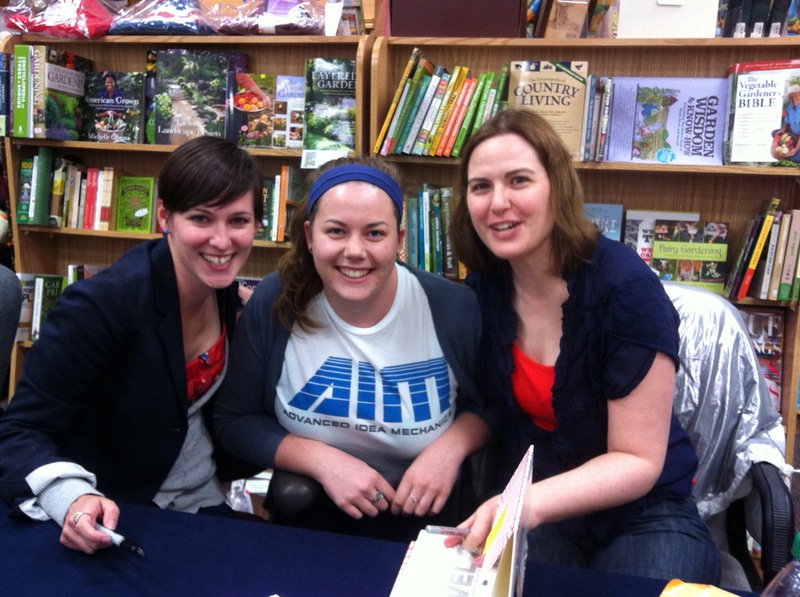 On May 2, 2013 Anderson’s hosed an event with Lauren Oliver (Delirium), Lauren Morrill (Meant to Be) and Lenore Appelhans (Level 2 AKA The Memory of After). Something told me that day to leave early and I am glad I did because traffic was HORRIBLE. There was an accident on one of the highways I take to get there so it doubled my travel time. I happened to communicate with the authors via Twitter about the wonderful experience we were having en route to the bookstore. If you don’t follow all these lovely ladies on Twitter, do so now! I do not know the roads very well out there so I was not able to supply short cut tips (for myself or for them!) I arrived shortly before Lauren Morrill and Lenore Appelhans. I am glad I did because I got to catch Lauren Oliver performing as each other to describe their books! Lauren and Lenore arrived soon after. Lauren Oliver then took the reins of telling us they were going to ask each other questions before opening it to the audience. 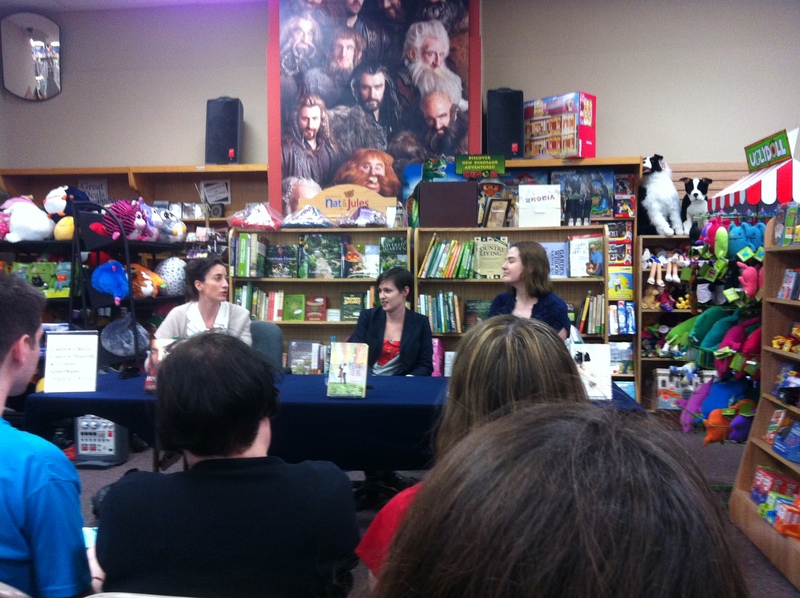 This style was different than most author events that I have attended in the past but I really enjoyed it! It was great to see authors talking about other authors. I didn’t always get all the information down (and sometimes I missed the questions but got the answer) but here is what they talked about. Lauren O. told us that the idea for the Delirium trilogy did not come from after a breakup. She really wanted to write a novel that got over the second book slump. Lenore’s novel involves the afterlife so she explained how she used a combination of science and religion. She went on to explain that she felt that every book about the afterlife should contain some amount of religion because it is such an important part of religion. Lauren O. then tells us she had a pet tarantula. Lenore shares a story about when she was traveling aboard, in what I believe she said was South America, there was a tarantula on the wall of the room she was sharing and her and her roommate tried not to freak out because “They are more scared of us then we are of them”. Lauren M. then shared about her book in which opposites attract. She feels that opposites attract is fun! She crushed on those different than her growing up and now her husband is different than her which is exciting. Lauren O. then answers a question about whether or not the ending of the Delirium was always known. She answered that she always knew the ending was not going to be like the Harry potter epilogue. She felt that not everything should be tied in a bow because in the end of the series there is still a revolution going on. She also did not want the boy choice to be important because the story doesn’t end there and who says she won’t break up with the boy in a year from the ending of the story? Lenore shares her thoughts on memories, which play a large role in her novel. She wanted to explore the nature of memory and how we create the memories. Two people’s memories of same event can be different even though they are remembering the same event. Lauren M. talked about how her first draft contained a lot of herself. Originally her characters would be lucky in many situations but her editor told her to put the characters in the unlucky situations to create more comedy. Lauren O. was then asked about how she writes kissing scenes. She jokes about having kissed a lot of people. She said the internal is the important part of kissing scenes. Lauren O. also shares with us that Before I Fall was almost entirely written on her Blackberry! How nuts is that? The ladies then went on to read from a random page of their book chosen by a reader. Because I arrived late I did not get very good photos of the ladies during the Q&A but they were all kind enough to take pictures with me. Basically Lauren Morrill and Lenore Appelhans made me change my Twitter picture to the one we took together. Lenore had chocolate (KINDER) and I tried to save it for later but I definitely ate it on the way home. 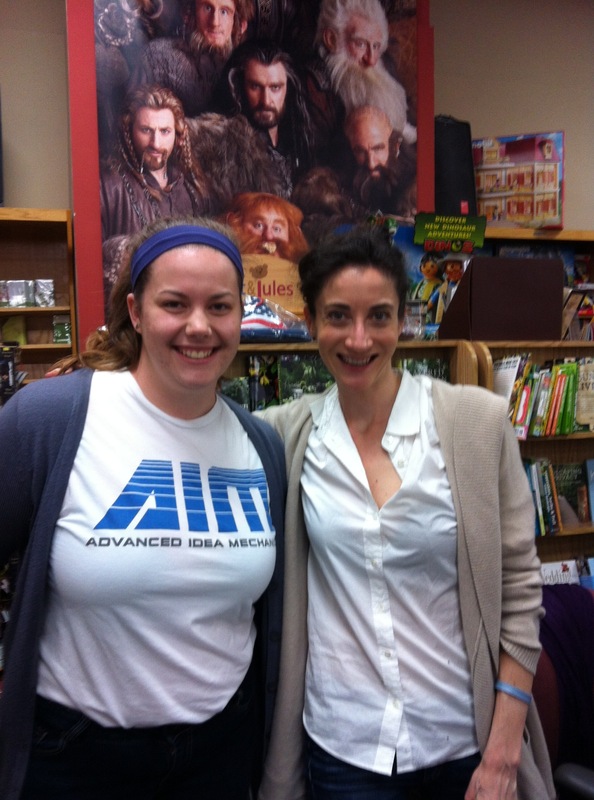 I also talked about to Lauren Oliver about foodie places in Chicago. I told her about my favorite burger place (Kuma’s Corner) and she said she would definitely try it next time she was in town. We then discussed Hot Doug’s, which was the only place we had both been to. Overall these ladies were wonderful and I am glad I got the chance to meet them! Wow, you got that up fast!! I always take forever to put up my recaps haha. You remember a lot too! I’m always so absorbed and intent on listening that somehow I forget everything lol! I didn’t want to forget things! I was typing “notes” on my phone and filled in later. And yes! Sunday! And Thursday! Anderson’s stop being awesome! It’s so cool that you got to go, and I love the recap you posted! My favorites were learning about the tarantulas, and then Lauren M.’s first draft! 🙂 Fabulous post! Anderson’s sounds like an awesome store!